There's no doubt that there are many areas of the country that experience tougher winters than Sacramento; heating systems are, however, a necessity for Central Valley homeowners during the winter and at other times of the year as well. Though Sacramento heating systems are not going to be used nearly as often as those in Chicago, Boston, or Seattle, when the weather gets cold, you want to make sure that you have a dependable, efficient heat source. Maintaining your heating system is a must, and when it comes time to replace a furnace or boiler, you'll have several options to choose from. There are several types of heating systems that can be found in or near Sacramento. Forced air systems are by far the most common. These systems use a furnace to heat air and circulate it around the house, and they are extremely efficient. Less common are boiler systems that circulate hot water or steam around the house through a series of pipes and radiators (radiator heat is commonly considered more desirable than forced air because the latter tends to create a drier heat that many find less pleasant). Though not the most efficient way to heat an entire house, electric heating systems are often a perfect fit for single rooms or small apartments. Extremely rare, but growing in popularity, are eco-friendly solar and geo-thermal heating systems. In most cases, total heating system replacement is not necessary; often, the pipes or ductwork from an existing heating system holds up longer than the boiler or furnace and doesn't need to be replaced (though adding insulation to pipes or repairing sections of ductwork is not uncommon). Obviously, if you already have a heating system in place, the most practical course of action is to upgrade the system you have with a more efficient boiler or furnace rather than trying to switch from a furnace to a boiler or vice-versa. One exception, however, is converting to solar or geo-thermal heat; this process is certainly not cheap, but the peace of mind that comes from having such a heating system in place is well worth the expense to some homeowners. If you are building a new house and are installing your first heating system, you'll have a little more leeway as to what you can do while remaining practical. Geo-thermal and solar heat are both excellent options in the Sacramento valley, though each will cost you a pretty penny to install. The two-fold bonus of having a heating system that is environmentally sound and the hefty savings on energy costs these systems provide are incentive for some to go this route. For most people, however, the easiest and most popular option of forced air is generally a safe bet. This will provide your home with exceptional and convenient heat at a lower cost than a boiler and radiator system. In addition to these heating systems, Sacramento homeowners may decide to install a heat pump. Able to provide cool air in the summer and warm air in the winter, heat pumps are much like a furnace and an air conditioner rolled into one. 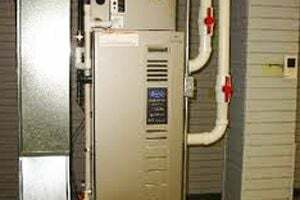 In some areas of the country heat pumps are not a good option because their capacities are limited when compared to having separate heating and cooling units. Due to the relatively mild conditions in Sacramento, however, a heat pump should perform effectively all year round. Comment: Install new wi-fi / thermostat. Will have product, just need it installed. Comment: Need to replace A/C & Heating ducts only, not registers. Possibly adding or repositioning 1 to 2 ducts. Currently have 11 registers. Comment: I would like to get an estimate for servicing my HVAC system. Sacramento Heating & Furnace Contractors are rated 4.80 out of 5 based on 1,930 reviews of 67 pros. Not Looking for Heating & Furnace Systems Contractors in Sacramento, CA?